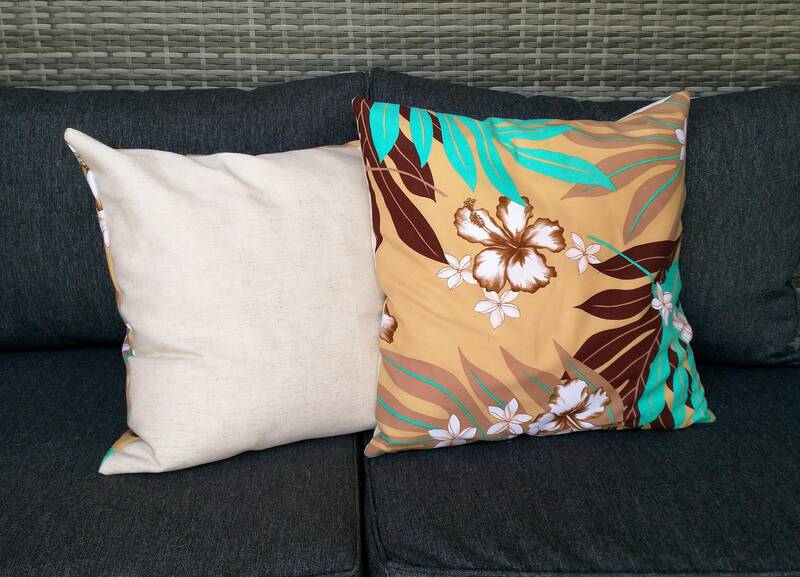 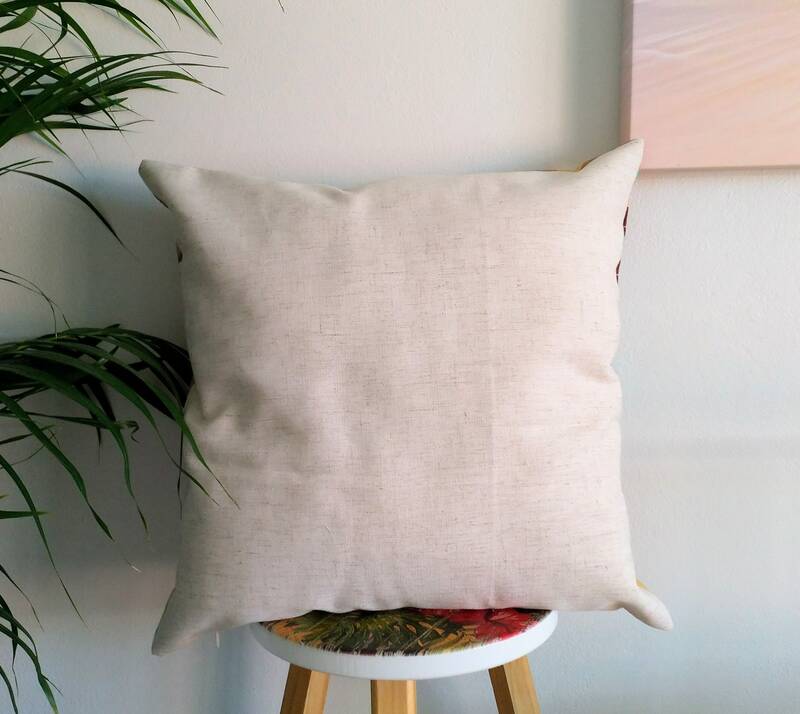 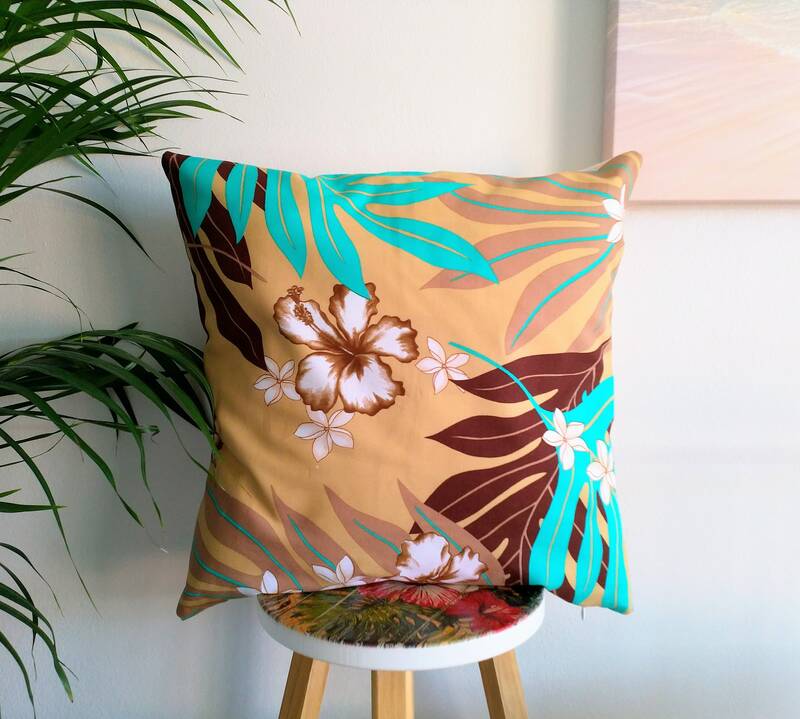 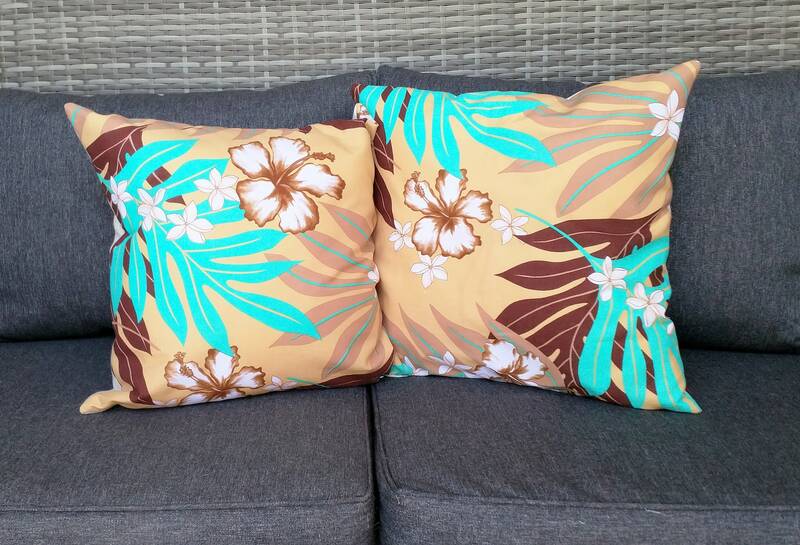 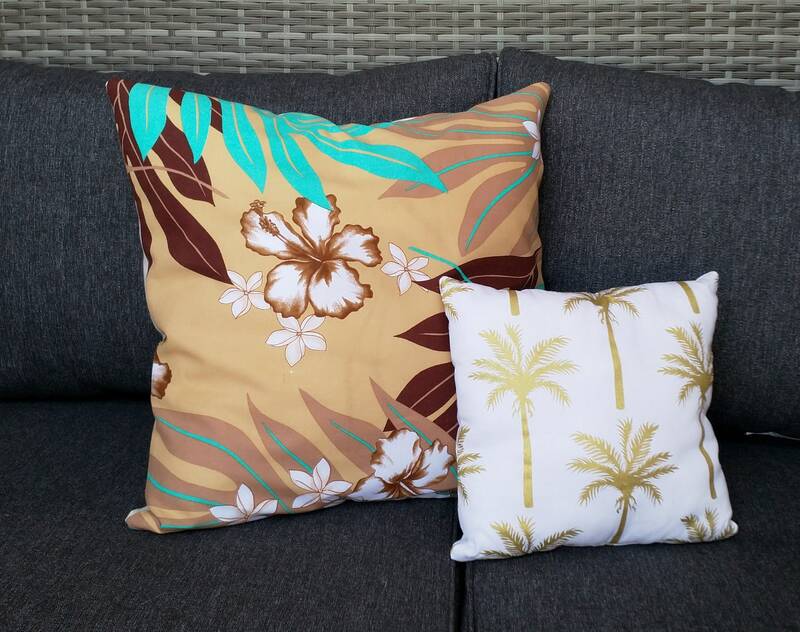 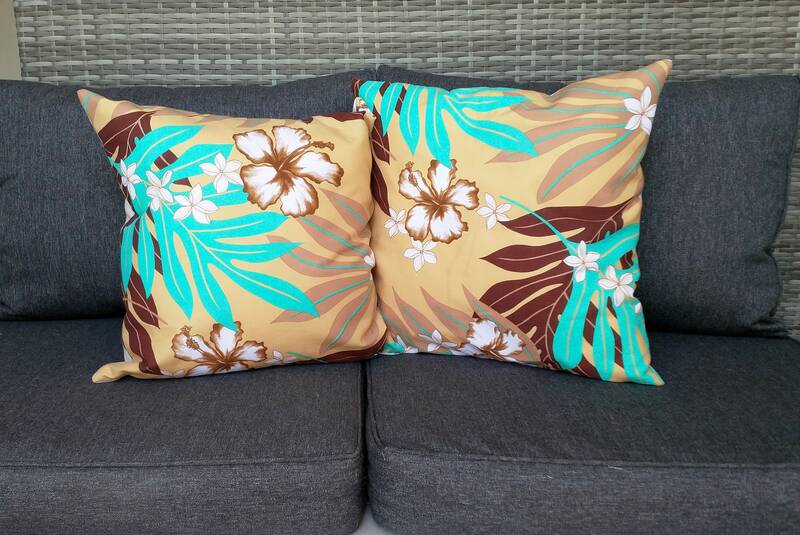 Very limited edition Tahitian cushion cover. 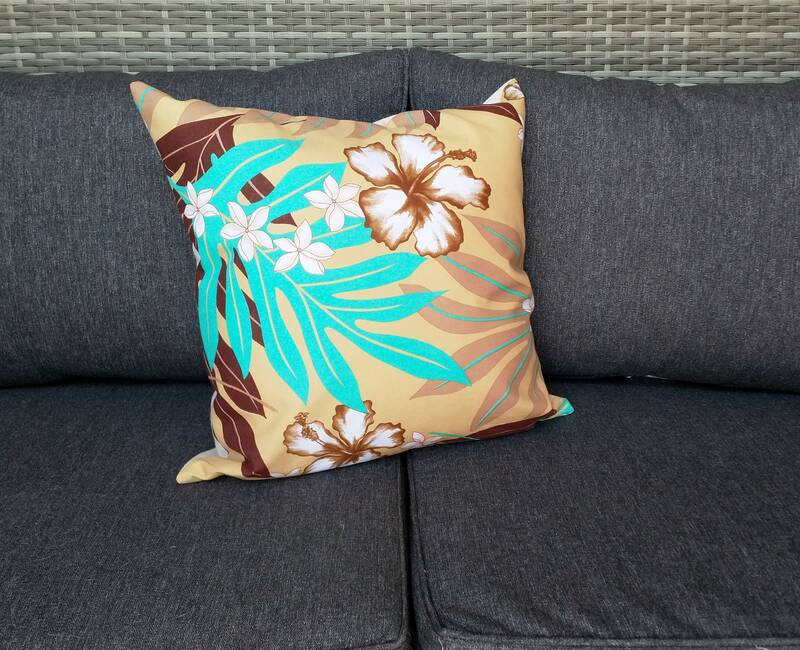 I purchased this fabric on a recent visit to Tahiti. 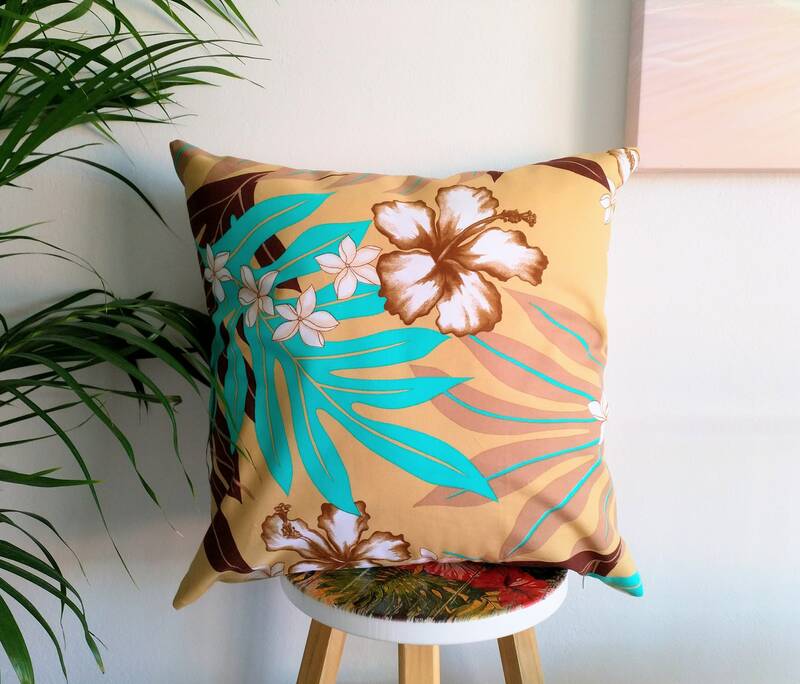 Handmade with a cotton Tahitian print on one side and on the other is a beige decorator fabric of cotton linen. 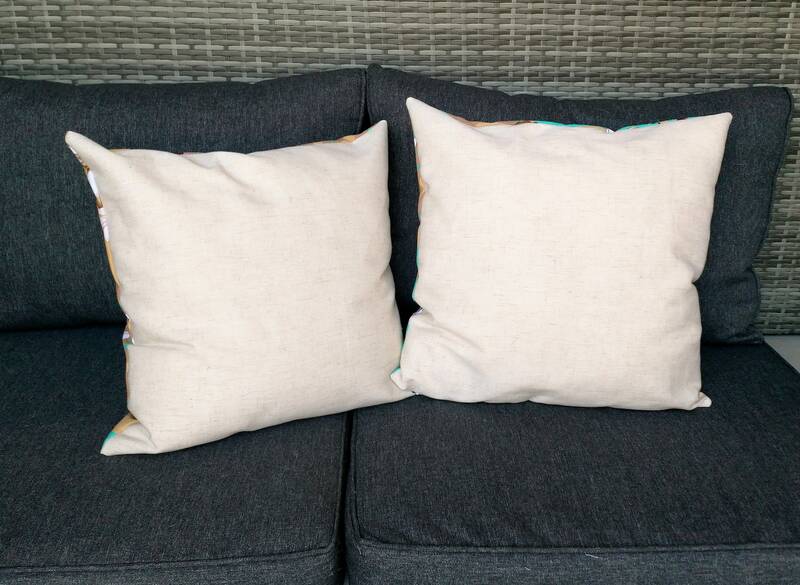 All seams are overlocked and they each have a 35cm white invisible zip.